Styled with randy blouse . Modern, sophisticated and easy to move in. The Manolo is cut from an innovative poplin with a hint of stretch, so they look polished and feel exceptionally comfortable. 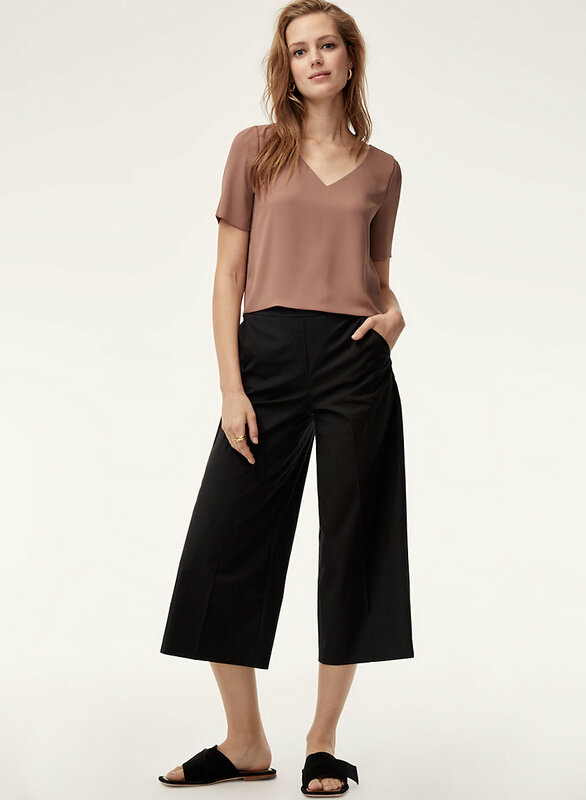 I love these pants as they are very comfortable, the material is light and feels cool which is good for spring and summer wear and of course it is a versatile look which I can wear with tee's, halter tops, etc. Being 5 ft. the leg length comes to my ankle which is fine, Not sure how they will stand up when washed frequently. I have all three colours. Perfect fit. Super soft and comfortable and yet very stylish. Will be able to wear multiple seasons with different footwear. 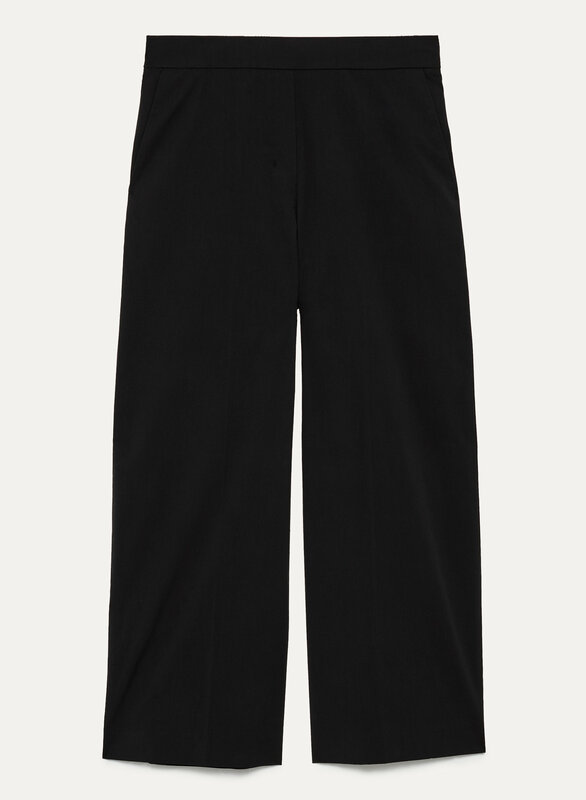 Love these pants.